Finally, we cannot discuss this region without making a few observations about the Israel-Palestinian peace process. 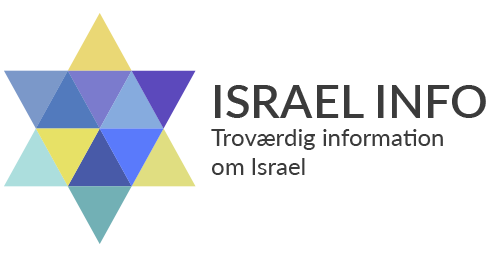 The President is devoting extraordinary efforts to the Roadmap (“Køreplanen for fred”), and U.S. officials remain in close contact with both Israeli and Palestinian leadership. We see two states, Israel and a democratic, economically-viable Palestine, living side by side in peace. This cannot be achieved if terrorists dominate Palestinian life. President Bush said it best last week: The Palestinian Authority’s failure to make effective efforts to dismantle the terrorist organizations constitutes the greatest obstacle to achieving the Palestinian people’s dream of statehood. Palestinian youth need a counter-model to the terrorists. So the U.S. is assisting the Palestinian Authority to develop security forces, and working with the EU, UN and others, is trying to develop the economy of the West Bank and Gaza. Israel has legitimate security concerns. But it also has an obligation to take steps necessary to permit development of a viable Palestinian state with which it can live together in peace. It is the longstanding policy of the U.S. to oppose activities by either party that prejudge final status negotiations for the West Bank and Gaza. In this regard, the security fence being erected by Israel is not consistent with our view of what the Middle East will one day have to look like: two states living side-by-side in peace. Having galloped through these developments around the region, I would like to return briefly to the strategic level. It is clear to the United States that our current policy challenges in the greater Middle East are strategically interrelated. We are dealing with a strategic whole, not isolated segments. Therefore, we just cannot pick and choose among these areas. We must work energetically on all of these challenges. Success in one area will positively impact the others. President Bush has set out his vision for a greater Middle East that increasingly is peaceful, free, democratic, respectful of human rights and the rule of law, stable, tolerant, with open markets and without the ideologies of hatred. We must work to spread democratic values. We must offer people the opportunity to earn a decent standard of living. We must appeal to decent people everywhere, including the majority of people in the Middle East region itself. Let’s be clear: security for our people and our territory is absolutely essential. But a military response is not our only tool. We seek a just and peaceful world beyond the war on terror. That is why the President has proposed a free trade area that would benefit the developing economies of the Middle East. We also are increasing our development assistance to the region. In other words, we are investing in hope as well as in security. In this strategic context, the United States believes it is time to put behind us the differences of the past year with a few of our allies. Given the stakes today, both with respect to our common values and our shared vital national interests, we can no longer be divided. We may sometimes disagree. But we know that the common interests and values that join us are far stronger and more vital than occasional differences. We hope the Security Council resolution last week and the Madrid meeting in a few days will mark the beginning of closer cooperation. Denmark and the United States share common values and experience. Together we can accomplish the tasks that demand our attention. Governments and international institutions have a role to play. And so does the business community. Partnerships between government and business, and between the United States and the EU, can help unlock the power of the market place. Working together we can create and sustain the safe and prosperous world that everyone on the planet hopes for and deserves. That is how I see it. A world that is full of potential and opportunities.